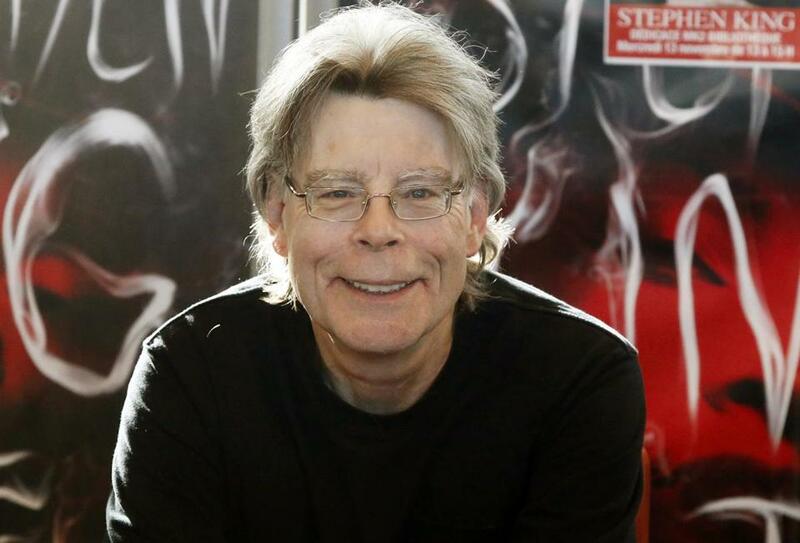 Known for penning dozens of doorstopper horror- and supernatural-themed novels, the prolific Stephen King has also managed to knock out several books of short stories and novellas over his career. As he notes in the introduction to this new but uneven collection, “The Bazaar of Bad Dreams,” short fiction offers him a breather from the demands of novels. “When a long book succeeds, the writer and reader are not just having an affair; they are married,” King observes. By comparison, the short story is “a waltz with a stranger you will never see again, or a kiss in the dark, or a beautiful curio for sale laid out on a cheap blanket at a street bazaar.” Hence the title of this compendium, one in which readers will quickly recognize many of King’s habitual themes and devices. The 68-year-old master craftsman begins in his familiar territory of haunted cars, perhaps as a nod to longtime readers who might otherwise feel lost in the book’s literary melange. The lead-off tale, “Mile 81,” about a people-eating vehicle that terrorizes a decrepit rest area along I-95 in Maine, eats its own tail. Heck, King sources his own work: “Jimmy Golding hadn’t believed in monster cars since he saw that movie ‘Christine’ as a kid.” Perhaps the “Constant Reader,” King’s name for his devotees, will forgive that self-referential Easter egg, but the story feels like a retread, and is one of the collection’s weakest. More affecting is the work rooted in the real, rather than the paranormal. Take “Batman and Robin Have an Altercation,” about a son’s relationship to his father who suffers from Alzheimer’s. As the two drive back to the nursing home after a dinner at Applebee’s, the dad lets slip an old affair with a neighbor. “[T]here’s no governor on them,” King observes about parents with memory loss. “Yes, they hurt you.” And the son, too, is seen unsure of his own memory: “How old was he then? Three? Only two? Yes, maybe only two, but he doesn’t doubt the recollection; it’s like a fleck of bright glass seen at the side of the road, one so perfectly positioned it leaves an afterimage.” Similarly understated is “Under the Weather,” a dour psychological profile of a husband who can’t face his wife’s death. No green bile or overcoming great evil here. One unusual aspect of this book is the commentary King offers on each of its 20 tales. “When I was a young man, I wrote like H.P. Lovecraft when I was reading Lovecraft,” he admits in the intro to “Premium Harmony,” a present-tense story about a haggard marriage. In it, he pays homage to Raymond Carver, whom he admires for the “clarity” of his style and the “beautiful tension of his prose line.” Example: “Marriage is like a football game and he’s quarterbacking the underdog team. He has to pick his spots. Make short passes.” The story, one of the least reliant on King tropes, ends up being one of the collection’s most moving. But other yarns, emerging from half-baked thought experiments, leave behind a gimmicky taste. There’s the judge addicted to knowing the future (“The Dune”); a Western period piece full of stereotypic tumbleweeds and clipped cowboy speech (“A Death”); and a haunted-house exorcism complete with a raging thunderstorm (“The Little Green God of Agony”). Several take authorial power and storytelling itself as their subject: a reporter whose obituaries actually kill people (“Obits”); a Kindle that can call up alternate fictional worlds (“Ur”). A couple of the stories are actually narrative poems (“The Bone Church,” “Tommy”), but lacking much attention to rhythm or the sound of language, these read more like chopped-up prose, not verse. “Drunken Fireworks,” an overlong, voice-driven tall tale about an absurd fireworks competition, makes unimpressive use of a borderline caricature of the backwoods Maine accent. When King dials back the horror shtick in the more harrowing tales of “The Bazaar of Bad Dreams,” it’s the quotidian particulars of 21st century life — Walmart, DUI convictions, road rage, the stony realism of Maine’s rural poor — that haunt us more effectively than any undead vehicle. “The Bazaar of Bad Dreams,” of course, wouldn’t feel like real Stephen King to some without a closing story from the apocalypse. In the grimly gorgeous “Summer Thunder,” another high point in the collection, a man, his stray dog, Gandalf, and a neighbor wait out radiation poisoning at the end of the world. The final line is killer.